← Feb. 29: SWINY’s Annual Party–Right around the corner! Unfortunately, we’ve reached the maximum for the Lowline Lab’s space. We’ve created a wait list (see the link below) if you’d like to be informed when a spot becomes available. Thanks very much for your patience — and interest. We all know the High Line, New York’s popular mile-long park in the sky. But its hidden flip side, the Lowline, is still an exceptional secret. This spectacularly landscaped prototype urban park will come to life underneath an historic abandoned trolley terminal, near the Williamsburg Bridge. 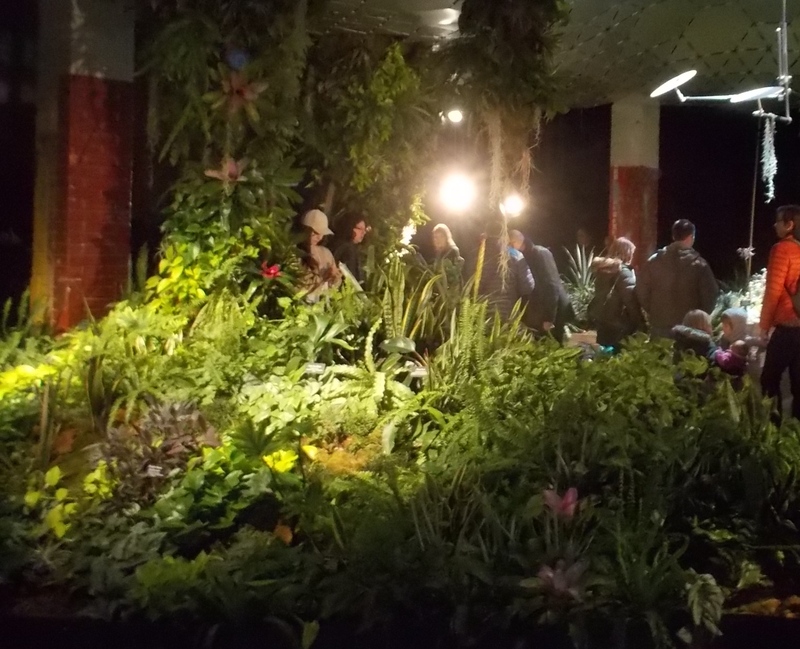 SWINY has arranged an exclusive tour of the Lowline Lab, the prototype for the actual park. It’s your chance to experience and learn about the innovative solar technology that brings sunlight underground, year round, into New York’s only subterranean garden. Between sunrise and sunset, all the underground plants are bathed in foot-candles of sunlight. We’ll visit the stunning garden this technology has enabled—over 3,000 plants, in dozens of different varieties, blooming in 1,000 square feet. A horticulturist and landscape architect will lead us along its pathways and explain the botany, design, and ongoing research to identify those plants that can thrive underground. We’ll be led through the Lowline Lab by Thor Snilsberg, our tour guide and Executive Director of City Science. We’ll also have an informal Q&A session with members of the Lowline Lab’s solar engineering team. This evening program is underwritten by SWINY, to keep costs modest. Kids are welcome – school groups visit often. Free admission for future scientists under age 13; $5 for 13 and up.